Being a UK seller on an American site like Etsy is a steep learning curve sometimes, so when I was commissioned to knit meerkats in Kappa Kappa Gamma sweaters I needed help! Knitting the sweaters wasn't as difficult as trying to understand what a sorority or fraternity actually *is*, but my Etteam friends came to the rescue. I started off by knowing only what I'd seen at the movies. One friend summed it up like this: "If you are on a sports team and in a fraternity you drink a lot and pick on the nerdy less fortunate fraternity guys. You only date the cheerleaders who are in the sororities who eventually end up leaving you for the nerdy guy you used to pick on." Sororoties and Fraternities are organizations that students are asked to join when in college. The frat or sorority have a house where all the gals or guys live, and your fellow members are your sorority sisters and the connections generally last for life. First there is what is called "rush" week. If you are interested in being in a sorority or frat you go around and meet all the people at all the "houses" during rush week to find out what they are all about, where their focus is. Many frats and sororities are also very charitable and/or service minded. Besides their academic focuses, they usually have a charity that they do a lot of work with, or pledge a certain amount of service to the local community. After rush week, you "pledge" to which sorority you want to be involved with, and they put you through a trial period to see if you fit in. If you are accepted there is an initiation ceremony, and you are in. "My sorority is my home. It's my family. I met my best friends there, and I can only hope that they will be my bridesmaids some day. We all care so much about each other, that's sisterhood. We have sisterhood events, like going to the movies and social events where we pair up with a fraternity. All in all it keeps college fun. It's so easy to miss out on life with the pressures of school and work. My sorority is my little slice of heaven, it's exactly what I need it to be." Delightful blog post, Nifty!! Your little kats in the frat sweaters are absolutely fabulous!! Interesting comparison. When it comes to support, our team is there for each other! I had no idea that sororities and fraternities were only a US thing. Guess I never really thought much about it. Your meerkats look adorable in those sweaters! 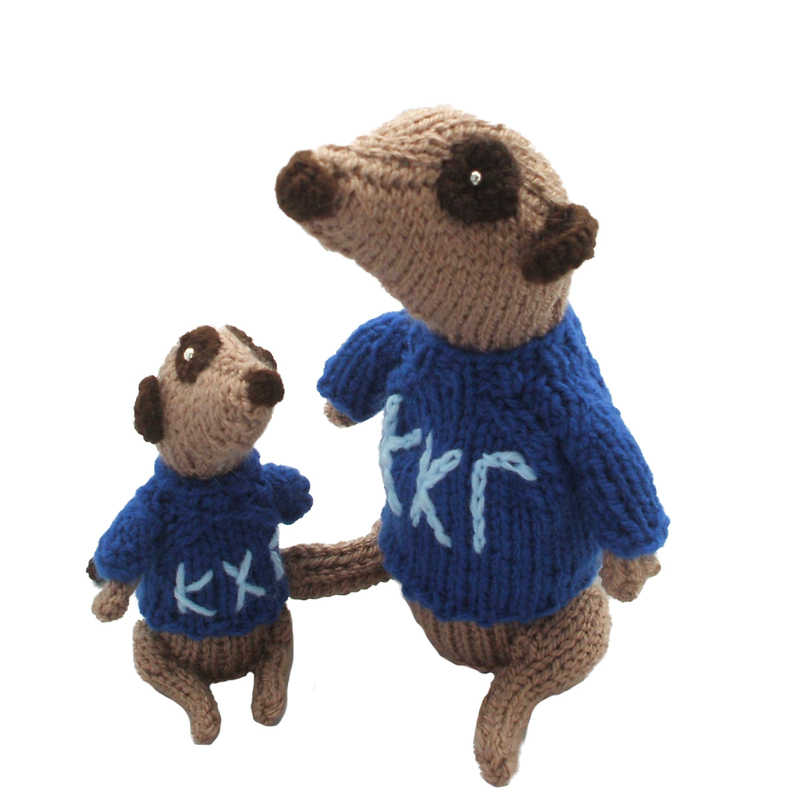 Your Meerkats came out AWESOME! I was in a sorority in college, it was a blast! Interesting blog post btw! 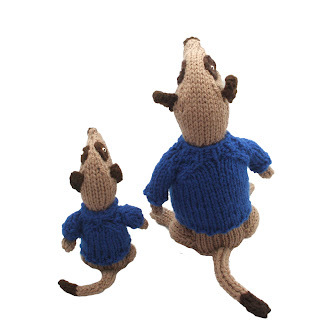 Nifty- I love the little sweaters! It never occurred to me that sororities and fraternities were an American thing. I just thought they were called something else in the UK. Geeks like me never fit into that culture in college but that's o.k. cause it's not for everyone and really only a small percentage of people actually get in. 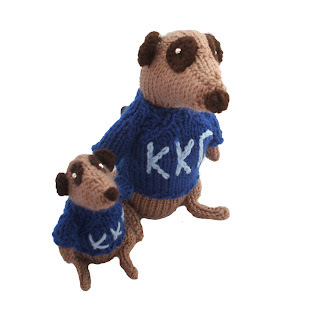 Nifty, I hope I can always depend on your meerkats to cheer me up! Wonderful blog! Nifty, the frat kats are soo adorable!! Love their little sweaters! Having never gone to college I unfortunately have to rely on movies for my information too, hence the mangled quote/ideaology from Revenge of the Nerds, hehe.